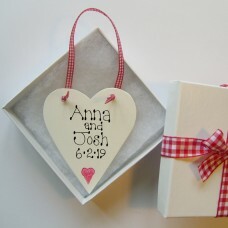 A selection of Gifts for Him and Her exclusively designed and hand made for Country Heart. 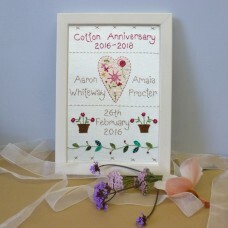 2nd Wedding Anniversary Sampler. 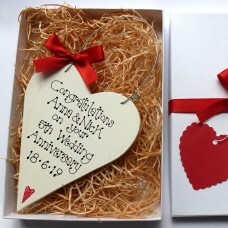 Hand stitched and appliquéd and full of symbolic imagery..
Personalised Anniversary Heart Gift Box. 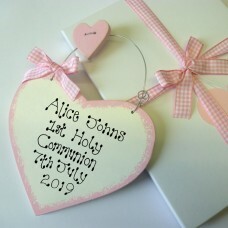 The perfect gift to celebrate and remember that ..
Personalised Anniversary Love Token AVAILABLE IN 4 DIFFERENT COLOURS. 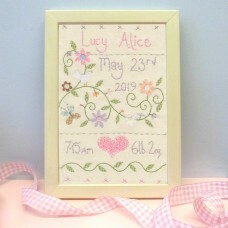 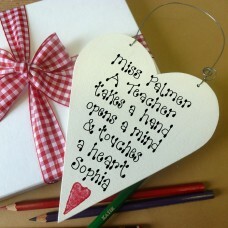 A charming keepsake to se.. 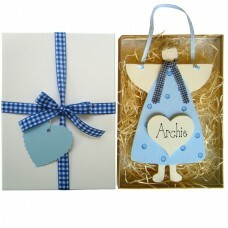 AVAILABLE IN 9 DIFFERENT COLOURS. 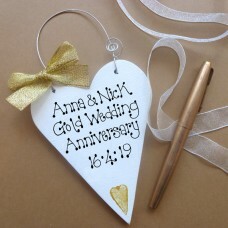 Personalised anniversary Message Hearts are a great way to commemo.. 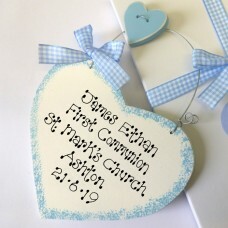 AVAILABLE IN 4 DIFFERENT COLOURS. 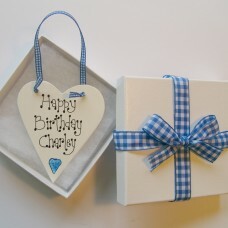 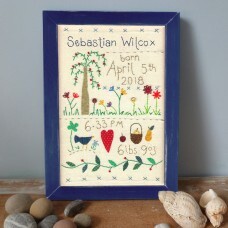 Birthday Love Token a charming keepsake to send a message of love ..
Personalised New Baby Sign IN PINK OR BLUE. 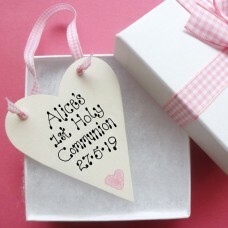 Personalised wooden handmade sign with gingham bow .. AVAILABLE IN 2 COLOURS. 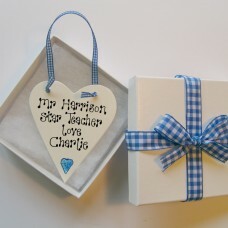 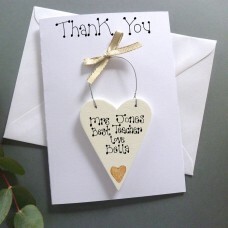 Personalised Teachers Gift Token a charming keepsake and perf..
Personalised Thank You Card This card bears a personalised detachable wooden keepsake. Blank in..